Marti's Floral Designs: Black Book Stamp of Approval! 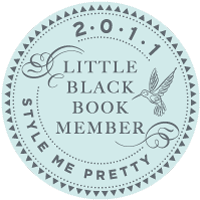 We were invited to become a Little Black Book Vendor on Style Me Pretty!!! It is one of those things that when they select you, you just submit to their will! Well we did and we are looking forward to all that it brings.